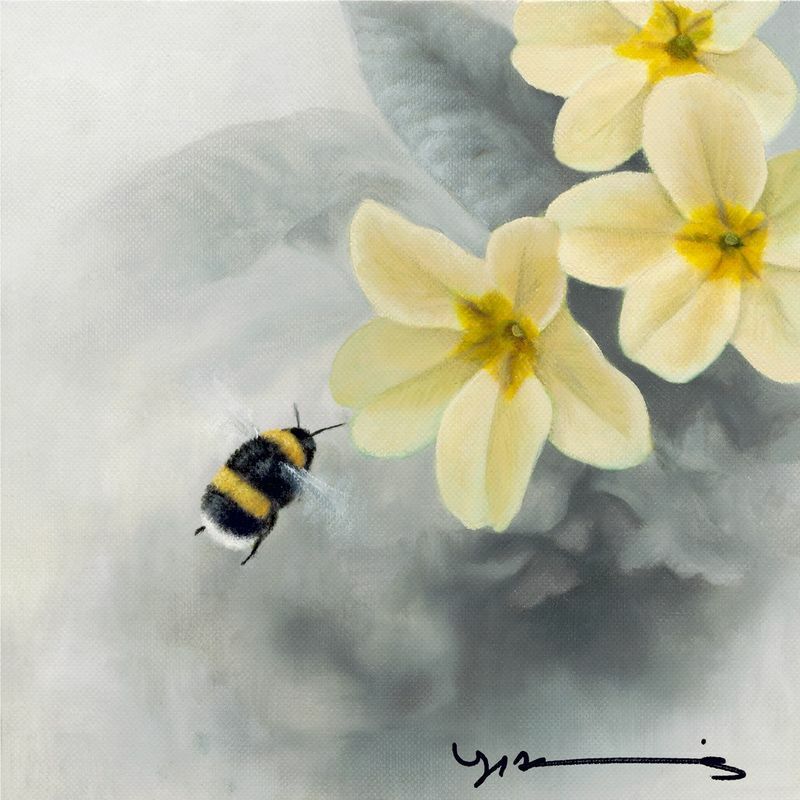 Although this and its sister piece 'Bluebell - Buff Tail Bee - Original' have now sold, we thought it was worth displaying to show you Nigel's wonderful paintings can be floral & indeed small - featuring the smallest of creatures, the humble bumble bee. Did you notice the subtle and realistic mauve colouring of the bluebell flowers? Good choice of colour palette Nigel. Once framed, the finished size was about 36 cm x 36 cm. Get in touch if you would like a similar done commission from Nigel. This one of course has a white tail bumble bee on the artwork.